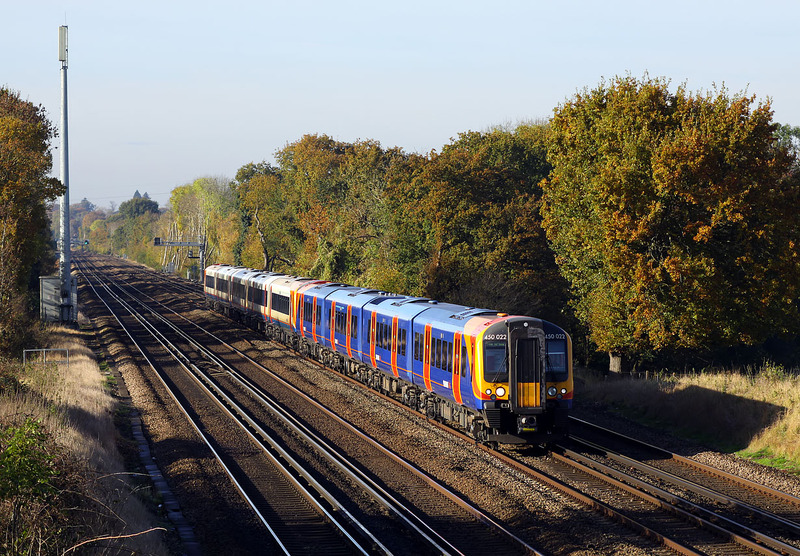 A comparison of South West Trains liveries at Potbridge on 11 November 2016. 450022 & 444020 head towards the capital with the 1W52 08:20 Weymouth to Waterloo service. As this was nearly the middle of November, I had expected a bit more autumn colour on the trees.